It’s another Fun Foodie Friday and I’m back with another quick and easy after school snack! I don’t know about you, but my two boys come home from school HANGRY! It’s like they’re both having a growth spurt at the same time! I can barely keep up with them! 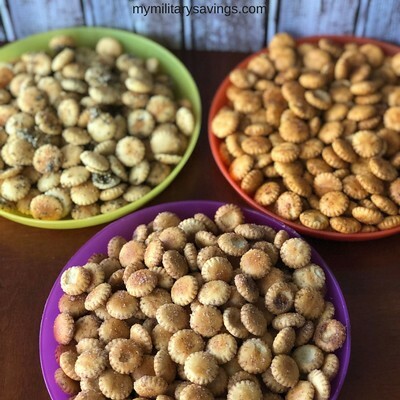 To save myself a little money and serve them something a little different, I decided to make my own flavored crackers. Sure you can buy all kinds of pre-flavored crackers at the store, but that gets pricey! With these little snacks, I can pick and choose what I want to season them with. They’re so easy, my boys can make them on the weekend! 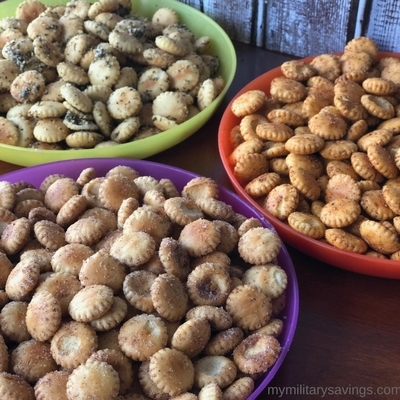 Pick up a few bags of oyster soup crackers next time you’re at the commissary and I’ll show you how to make them! 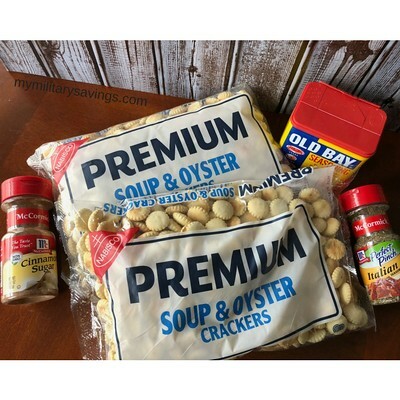 Nabisco Soup & Oyster Crackers, at least one bag, depending on how much you want to make! 1-2 Tablespoons (each) of your favorite dry seasoning or herb blend. I made three different flavors: Old Bay, Cheesy Pizza, and Cinnamon Sugar! 2-3 Tablespoons of oil per batch. You can use Canola or Light Olive Oil. Anything light, even Coconut Oil would work well! To begin, preheat the oven to 350 degrees. To make clean up a breeze, place parchment paper on your baking sheets. Divide the crackers up into how many batches you’re making. Add the crackers, 2-3 tablespoons of oil, and 1-2 tablespoons of seasoning to a bowl and mix well. If you find the seasoning isn’t sticking as well, add another tablespoon of oil. Spread the cracker mixture onto a baking sheet and bake for 10-12 minutes. 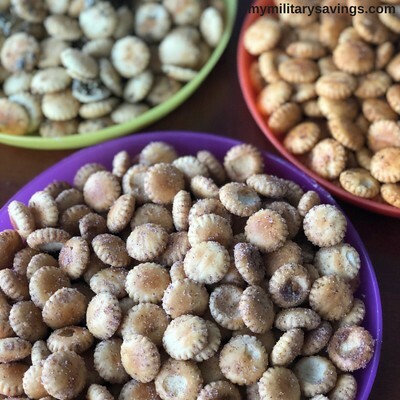 The oyster crackers are, of course, already crunchy, but baking them takes them to a whole other level! 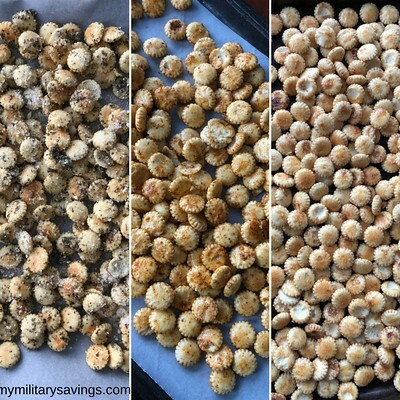 They’re crispier, crunchier, and the flavors are phenomenal! These yummilicious crackers can be stored in a air tight plastic bag on the counter, if they last that long! My husband already stole the spicy ones on his way to work this morning! HA! With each bag of crackers only $1.79, it’s a really great, inexpensive way to jazz up a plain cracker. You can use any flavor you’d like too! Next time, I’m making ranch and taco seasoned crackers. YUM! The best part, you can still use the flavored crackers for your soup! Try this recipe today! 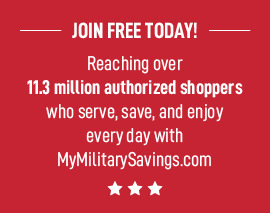 While you’re at it, head on over to mymilitarysavings.com for more great information! Membership is free so be sure to sign up today!